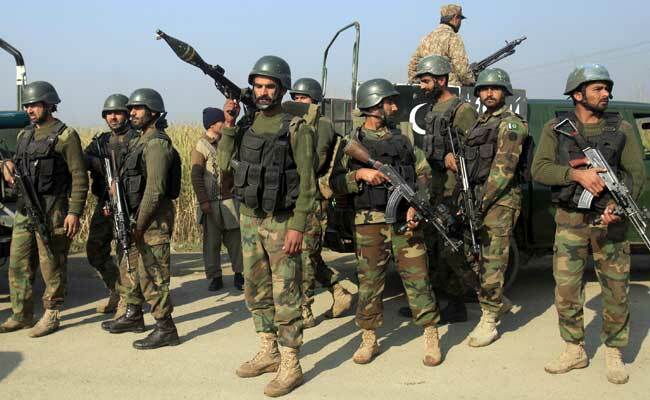 Peshawar: At least 11 soldiers were killed and 13 wounded on Saturday in a suicide attack near an army base in northern Pakistan, officials said, in a region that was once controlled by a local faction of the Taliban. Attacks have decreased sharply in the picturesque Swat Valley but can cause alarm in a region where Pakistani Taliban insurgents took partial control in 2007, before being ousted two years later in a major military operation hailed as an important blow against Islamist violence. Swat was the first sizeable region outside Pakistan's lawless tribal regions bordering Afghanistan to fall to the militants. More than 2,000 Taliban fighters have been driven out of the region, government officials say. "The soldiers were playing volleyball in the evening outside the military base...when a suicide bomber managed to blow himself up," said a security official who asked not to be identified. The match was also being watched by civilians, and the casualty count could rise as a large number of people had gathered in the area, he said, adding that wounded were being shifted to a nearby military hospital. 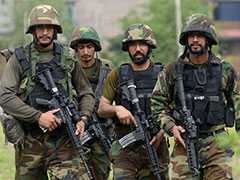 The attack was claimed by the Tehreek-e-Taliban, also known as the Pakistani Taliban, in a statement sent to the media. "God willing Tehreek-e-Taliban has started the process of revenge attacks," Taliban spokesman Mohammad Khurasani said in the statement. "Wait for more (attacks) to follow." The military has been on alert for signs of a Taliban resurgence as it seeks to rebuild civilian institutions and win over the local population as a bulwark against radical ideology. Since being chased out the region, the Taliban have carried out revenge attacks against anti-militancy activists and attempted to extort money from business owners in a region where Pakistan has stationed more than 4,000 soldiers.